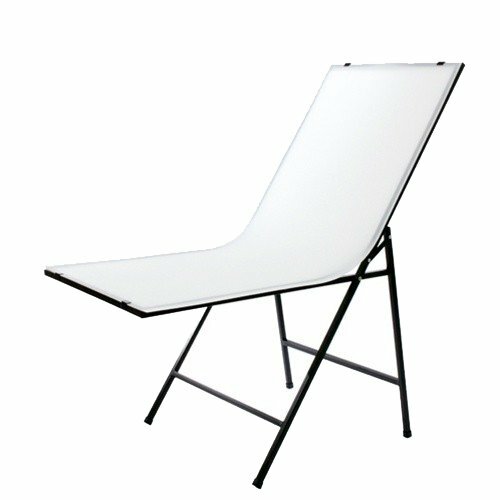 The RPS Studio Portable Folding Shooting Table is perfect for product photography. Easy to setup and shoot. It also folds flat for quick storage and portability. Just open the frame and slip the translucent sheet into the slots provided. The table measures 48" x 20" with a flexible white translucent top.